Wow, did anyone else’s weekend go by way too fast? I always look forward to long weekends, but honestly I also always look forward to getting back into a good routine. Yesterday, I went to my first spin class in a while and got caught up on all of our (way too much) laundry and I also did a little bit more shopping. Our gift list isn’t too long, usually niece and nephews, the boys and each other, so it doesn’t take too terribly long to finish up. That also means that I, personally, spend a good amount of time during these sales shopping with my birthday money for myself. I think it’s both a good time to pick up the winter clothes you need for yourself and your family, as well as picking up gifts! 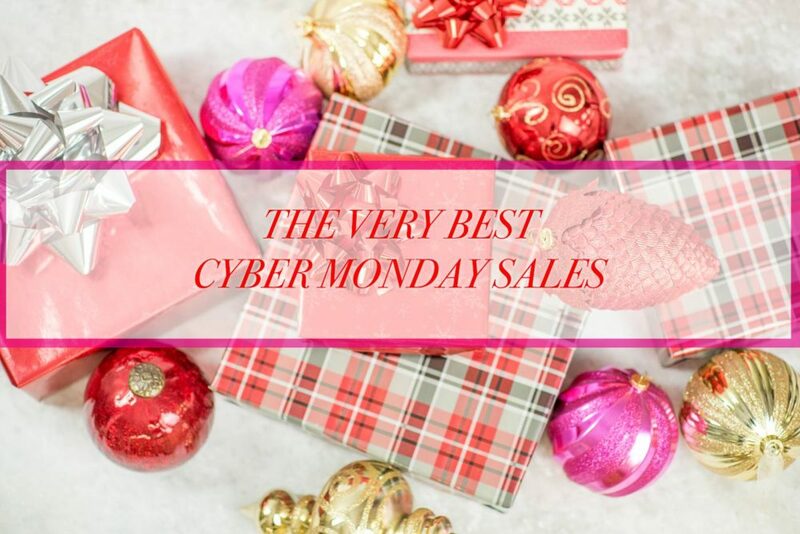 As you already know (and have probably read on every blog you read today) most of best of the big sales end today, so I’ve rounded up what I think are the very best Cyber on Monday sales below and also who you’ll find the best buys for at each one. Happy shopping, friends! No big sale but check out their newest release, the Featherlight Collection featuring a custom, digitally engineered print by Brazilian artist Janaina Milheiro. These pants are my favorite and I love this tank. Such a great giveaway! Can’t wait to see what everyone will get! What a great round-up, SO many great sales today! Such a great roundup! I got a big part of my Christmas shopping done yesterday! So many amazing sales! And an amazing giveaway… love! Such an awesome round up of sales! Hope you got some awesome deals. I could not stop shopping! The sales were just so good! You’ve got a great list going! This post is so helpful! I did some MAJ shopping damage! So many great sales and what an amazing giveaway!